Summer is all about enjoying the outdoors, sun tan lines and good food. But fruits and vegetables tend to get jealous, because although it is their prime season, many people opt to place some sort of meat on the grill. Why should humans and meats be the only ones with tan lines – these fruits and vegetables want in on the action, too. Trust me – you won’t be disappointed by their taste. In fact, they might just turn into your favorite grilled summer item. Not to mention that the consumption of them won’t leave you running for a cover-up. I love to eat these handheld veggies straight off the grill. If you want to be fancy, you can brush them with olive oil or butter and fresh black pepper and opt for a plate and utensils. Either way, you’ll be set with time to spare with these asparagus. Artichokes don’t have to be intimidating. In fact, try preparing them this way to conquer and overcome your fear – cut in half, trim the top off and steam for 20 minutes before placing on the grill. Once your guests have arrived, or when you’re ready to eat, brush with extra virgin olive oil and just leave it to do its thing for 3 minutes. Serve it with grated parmesan and a fresh chopped thyme and rosemary blend. Although this vegetable will need more preparation (cut it in cubes and skewer it, slice it lengthwise, or slice on the horizon into disks), it is well worth it. Whatever way you choose to slice it, just brush with olive oil and enjoy. You can also keep it whole and char the outside to blend with garlic, tahini, parsley, cumin, salt, and pepper to make a baba ghanoush to pair with another dish or to eat as an appetizer. Probably one of the most underused vegetables, fennel absolutely shines on the grill. 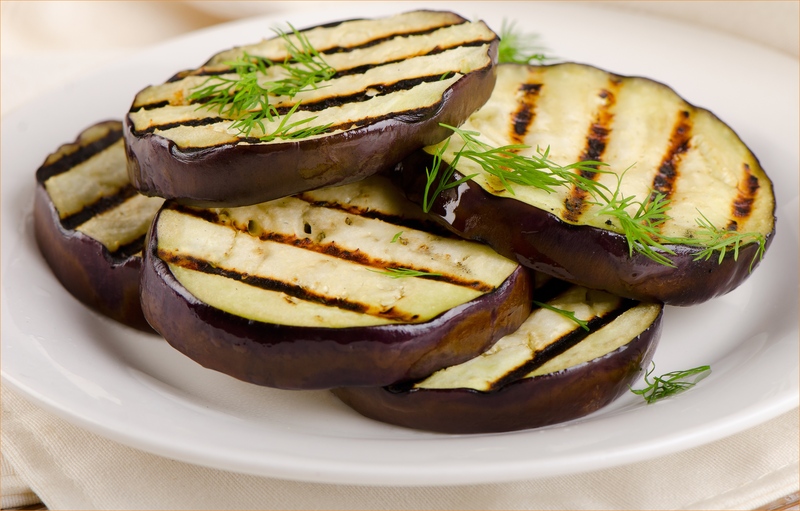 This might be your introduction to this vegetable but, after your taste it off the grill, I am sure you will be searching for ways to use it in your next recipe. Cut it vertically and place on the grill. Complete it with a simply drizzle of extra virgin olive oil and a sprinkling of your favorite soft cheese (like feta). This fruit doesn’t only have to be devoured in your morning breakfast routine – it can also be your quick and easy go-to for the grill. Simply cut in half and grill. You don’t need to add sugar this time as the grill helps to bring out its natural sweetness. Just like other stone fruits, peaches are simply amazing on the grill. Make sure to use them when they are still firm. Cut it down the middle, remove the pit and place it flesh side down on the grill. You can turn it into a salad by cutting it into wedges and adding some of your left over grilled fennel and a fresh squeeze of lime. Or you can turn it into a quick dessert by adding a scoop of vanilla bean ice cream.